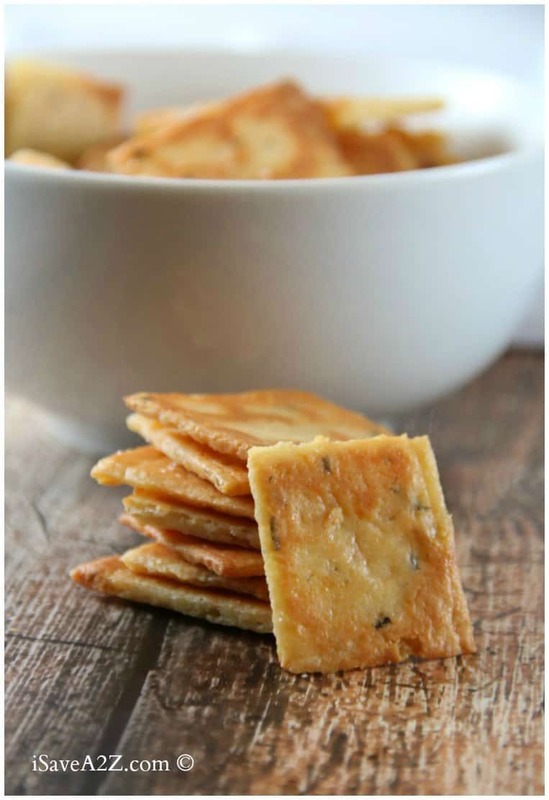 I just made the BEST Easy Cheese Crackers Recipe on the planet! 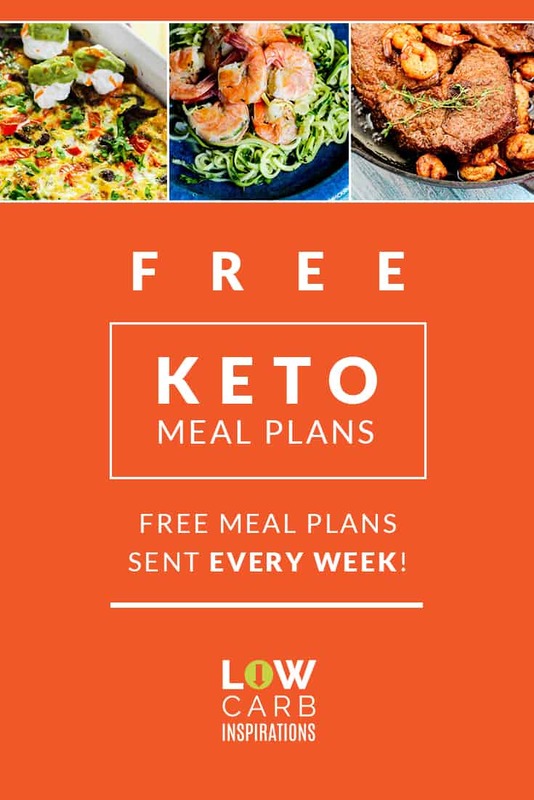 You know what the secret to amazing taste is? 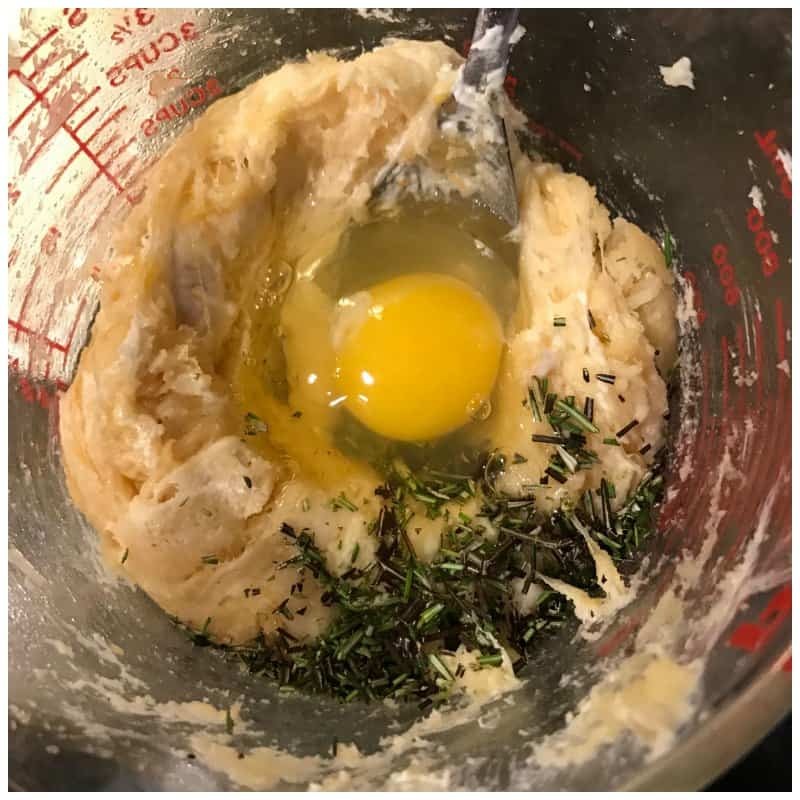 I honestly believe it's the cheese in the ingredients and the fresh rosemary I used from the bush I have outside my house. Wow! 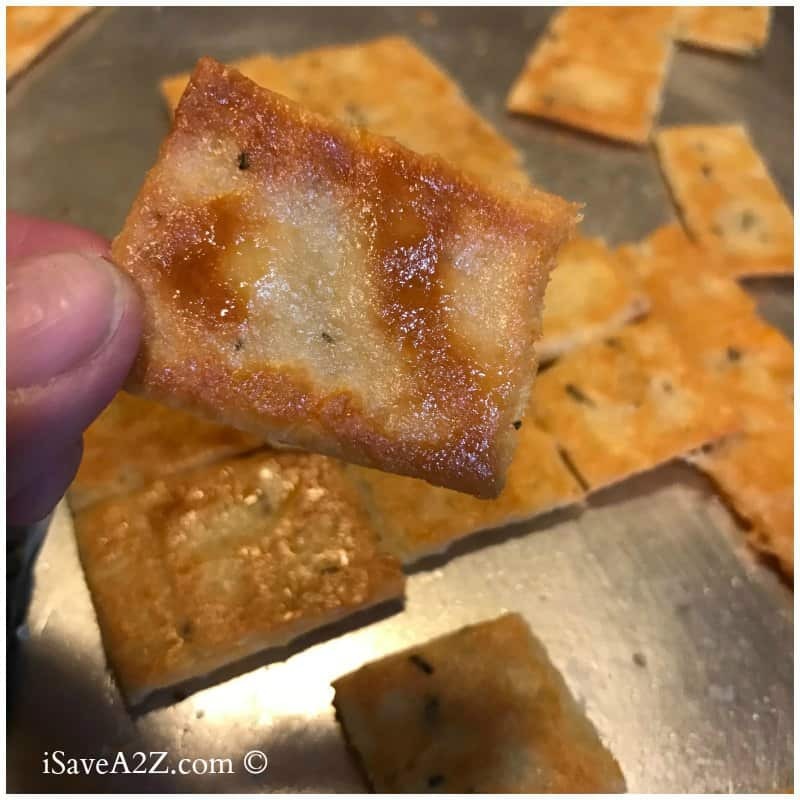 These low carb crackers are impressive! 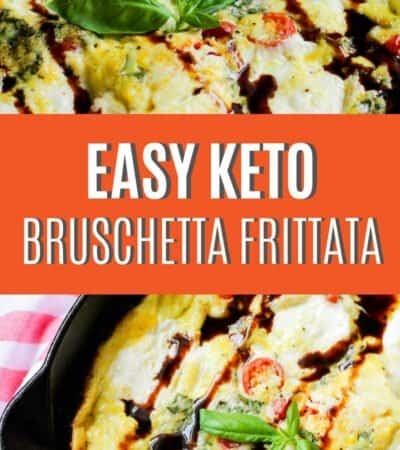 It's recipes like this that help me stick to my diet of no sugar and low carbohydrates. It's the only way I eat because my body responds so well to this way of eating. I won't ever go back to eating carbs and sugar again. Never! 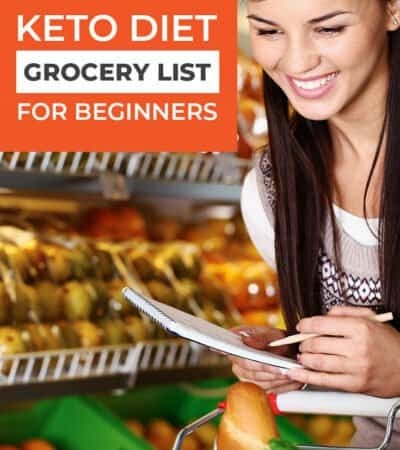 If you are wanting to start a low carb plan that will help you kick the sugar and carb cravings, you should read this article that talks about the Keto diet: Simple Way to Start the Ketogenic Diet. If you love crackers, and who doesn't? 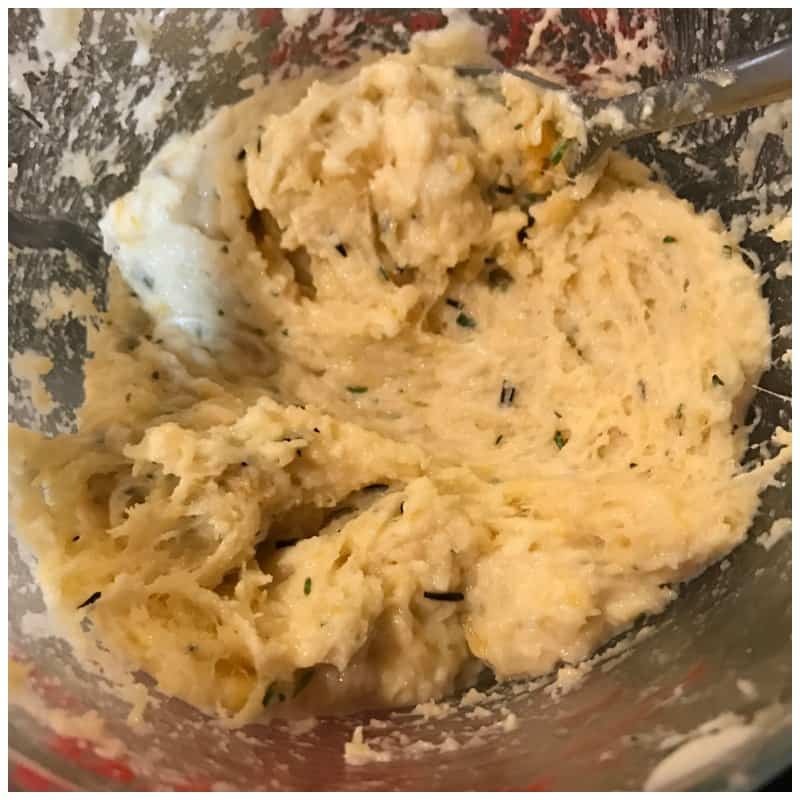 I bet you will love this low carb cracker recipe. These crackers taste even better than Cheese Nips or Cheez-Its! And I used to love Cheez-It's back in the day too. I'm happy to have an alternative that's easy to whip up in a flash. Make yourself a side of Cilantro Jalapeno dip or salsa and enjoy! 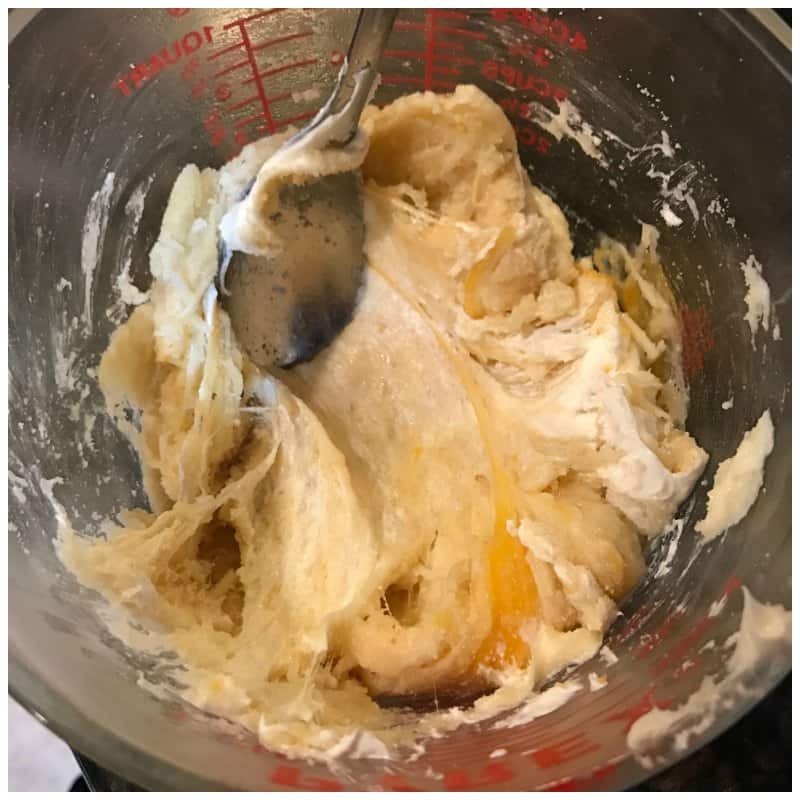 If you have twenty minutes and these few ingredients, you can have one heck of a treat! Seriously, only 20 minutes! Ok, maybe 25 but that's it! Storing these crackers may be a bit tricky. You don't want to add them to a plastic storage bag or container because if they get sealed, the moisture will set in and they will become soft. I make only the amount I know we will consume that day. If I do have to store leftovers, I pop them in the oven again to reheat them to remove the moisture. 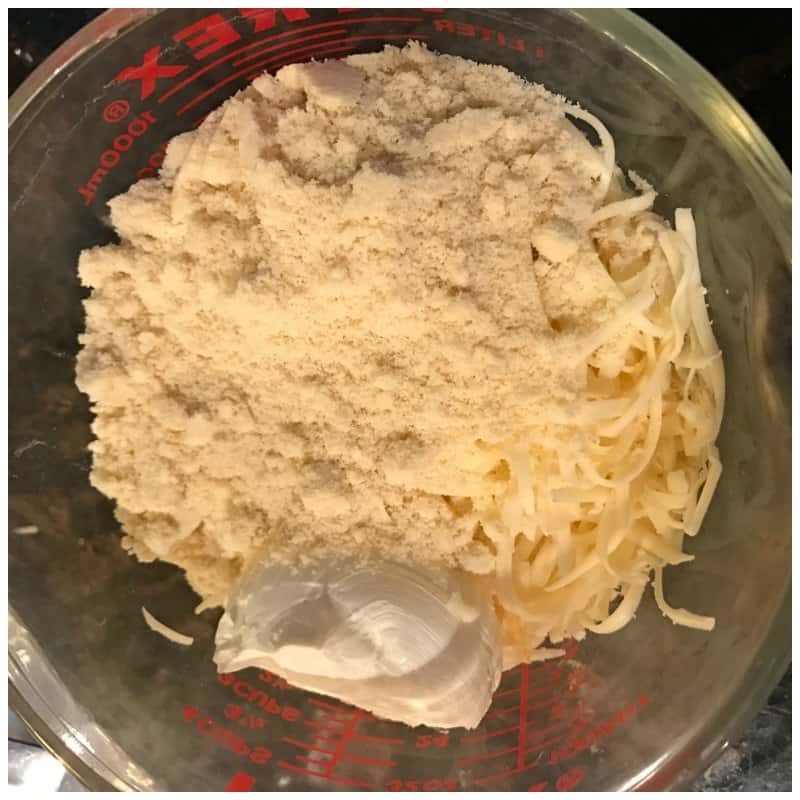 Mix all the cheeses (including the cream cheese) along with the almond flour in a microwave safe bowl and cook it for exactly one minute. Allow this to cool for a few minutes because if you put the egg in these ingredients too soon it will cook the egg. Add the egg, sea salt, and seasoning of your choice. I decided to cut up some fresh rosemary I had on hand. You want to add about a teaspoon of your favorite seasoning unless it's a spicy mix. I would add only about a 1/2 teaspoon for spicy seasonings. Mix it together until all the ingredients are fully combined. If you cheese has gotten too hard or it's too hard to mix, you can microwave your cheese for another 20 seconds to get it soft again. 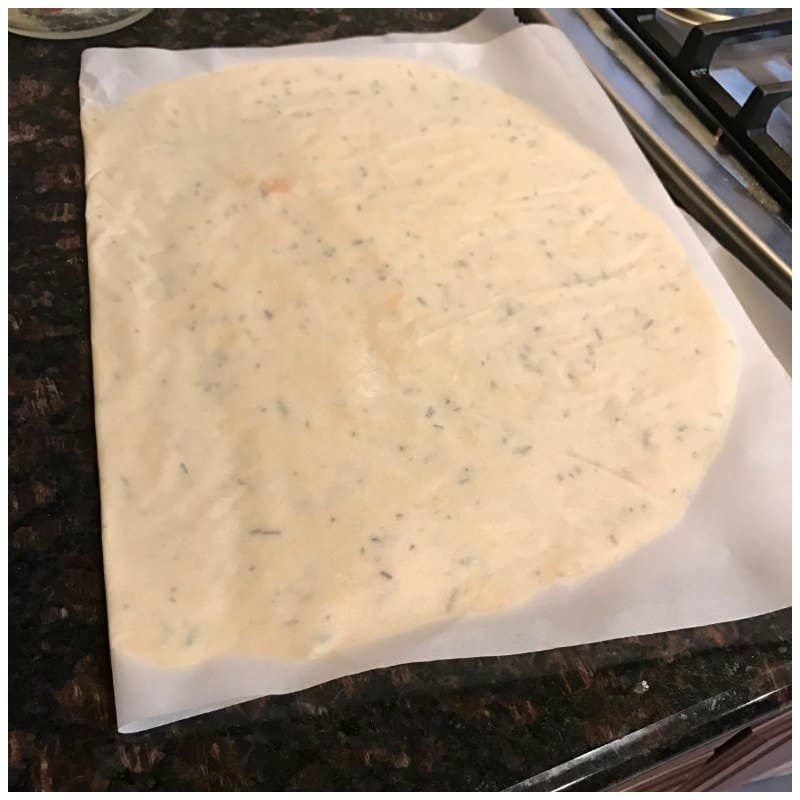 Now you will place the ball of dough on a large sheet of parchment paper. Then place another sheet of parchment paper of equal size on top of the ball of dough. You can use your hands or a rolling pin to spread the dough out into a thin layer. 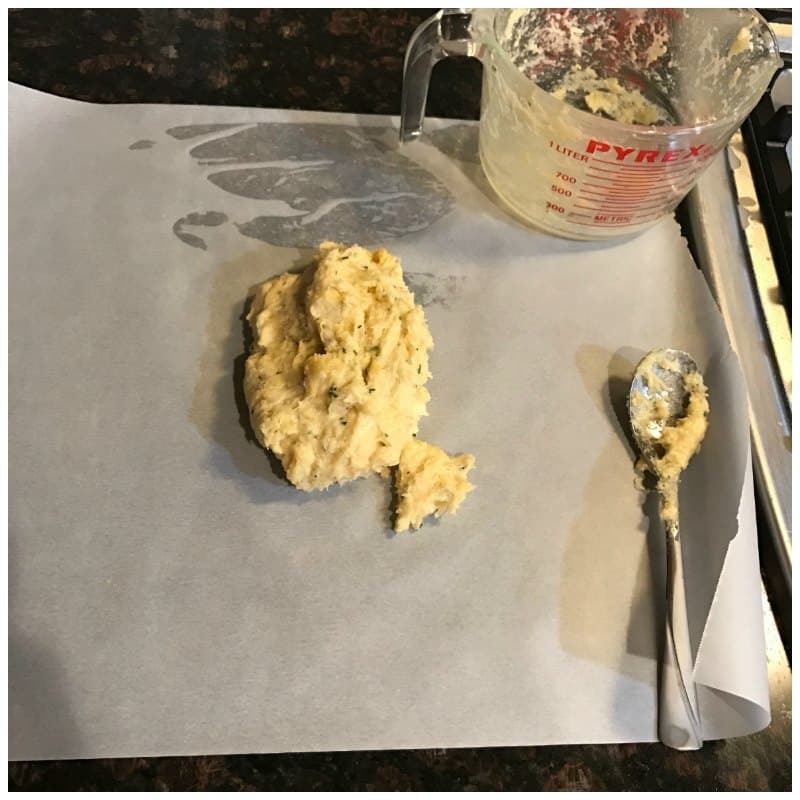 It spread so easily that I used my hands to have more control and keep the dough inside the square piece of parchment paper. 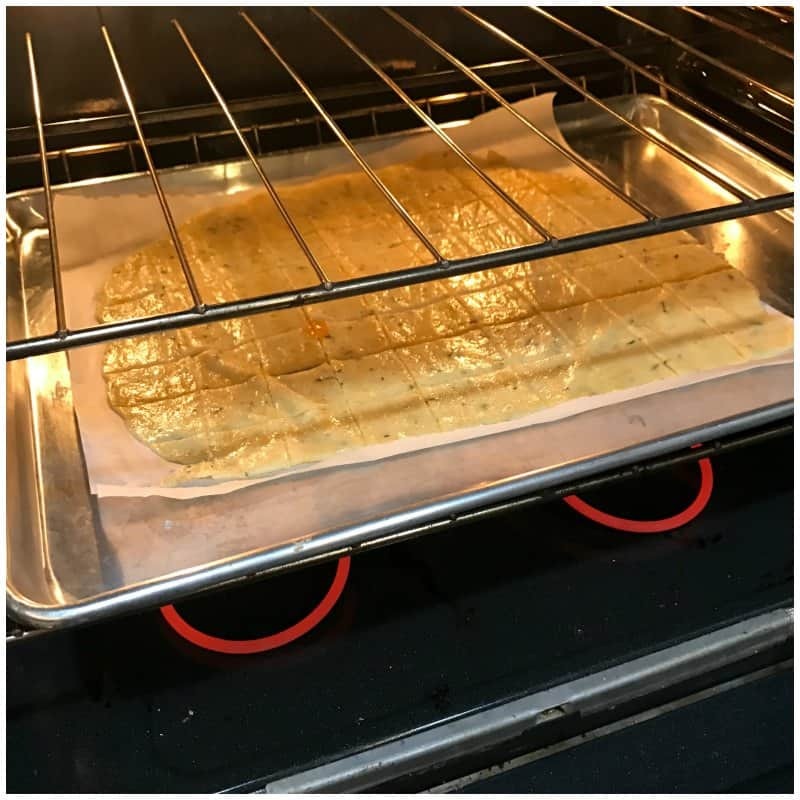 Make sure the parchment paper is the same size as your baking sheet. Next, use a pizza cutter to cut the crackers into small squares as seen in the photos. Bake these crackers on each side at 450 degrees for about 5 or 6 minutes on each side. 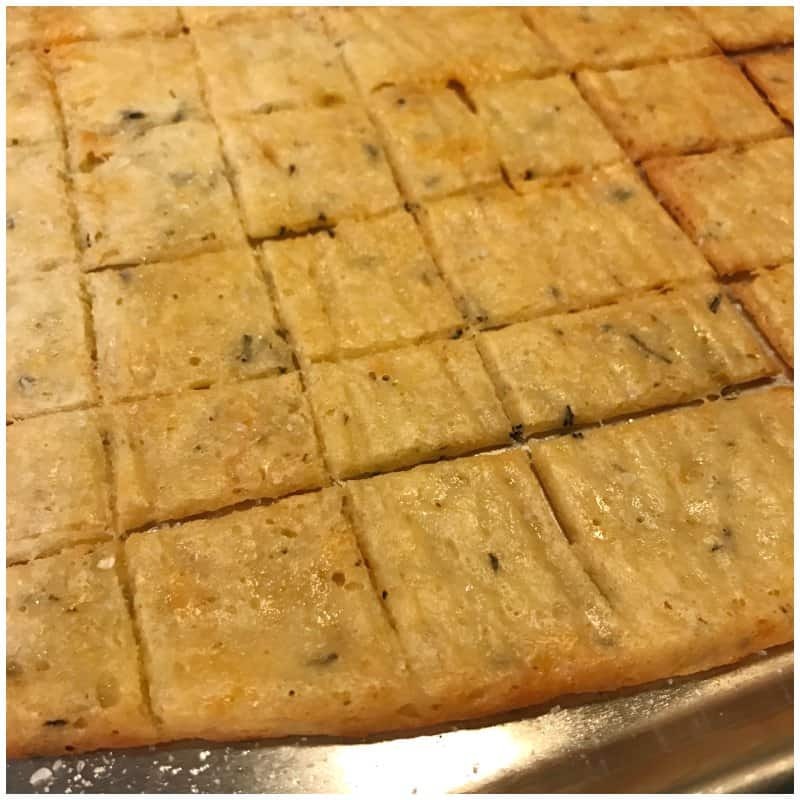 If the crackers are thin, you will cook them about 5 minutes on each side but if the dough is thick, it may take 7 to 9 minutes to get the crispy cracker texture you are looking for. When you keep the dough on the parchment paper it's really easy to flip it over while it's hot after cooking it on the first side. I ended up using the pizza cutter again to define the lines on the flip side too. Feel free to leave the crackers in the oven longer (but watch them closely) if you love a very crispy texture. The crispier the better for me! Allow the crackers to cool for about 5 minutes and they are ready to eat! Immediately stir the ingredients until the almond flour and cheeses have combined fully. You want the cheese to be partially melted. Now add the egg, sea salt and seasoning of your choice. 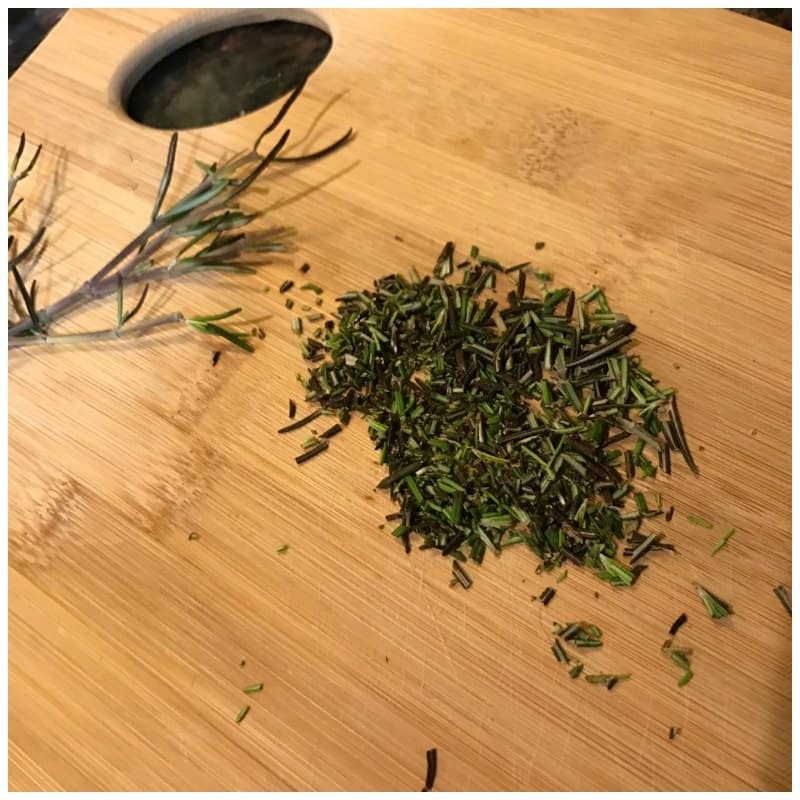 I decided to cut up some fresh rosemary I had on hand. You want to add about a teaspoon of your favorite seasoning unless it's a spicy mix. I would add only about a 1/2 teaspoon for spicy seasonings. Mix it together until all the ingredients is fully combined. 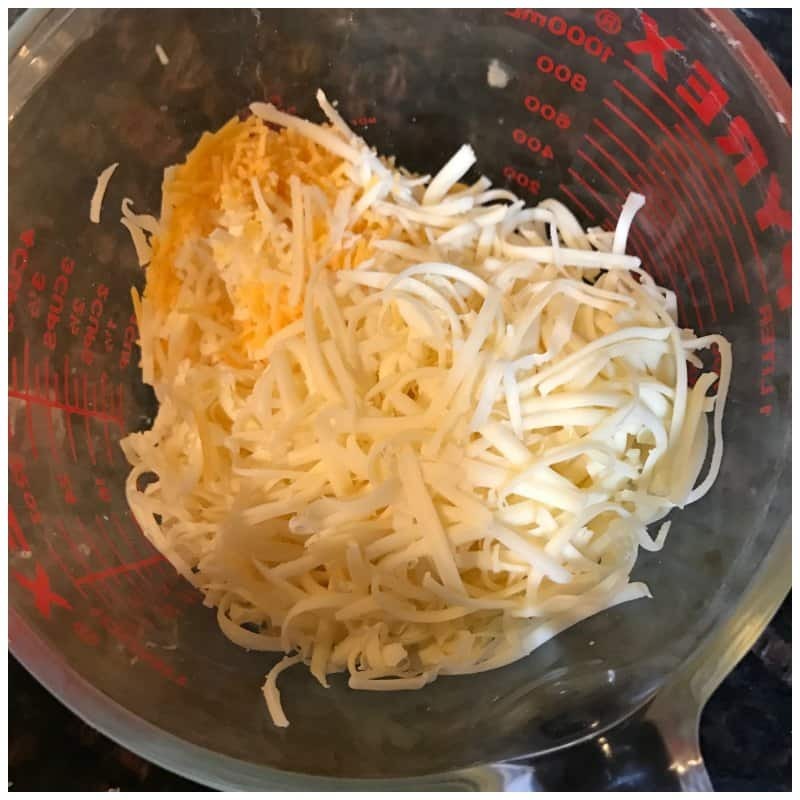 If you cheese has gotten too hard or it's too hard to mix, you can microwave your cheese for another 20 seconds to get it soft again. 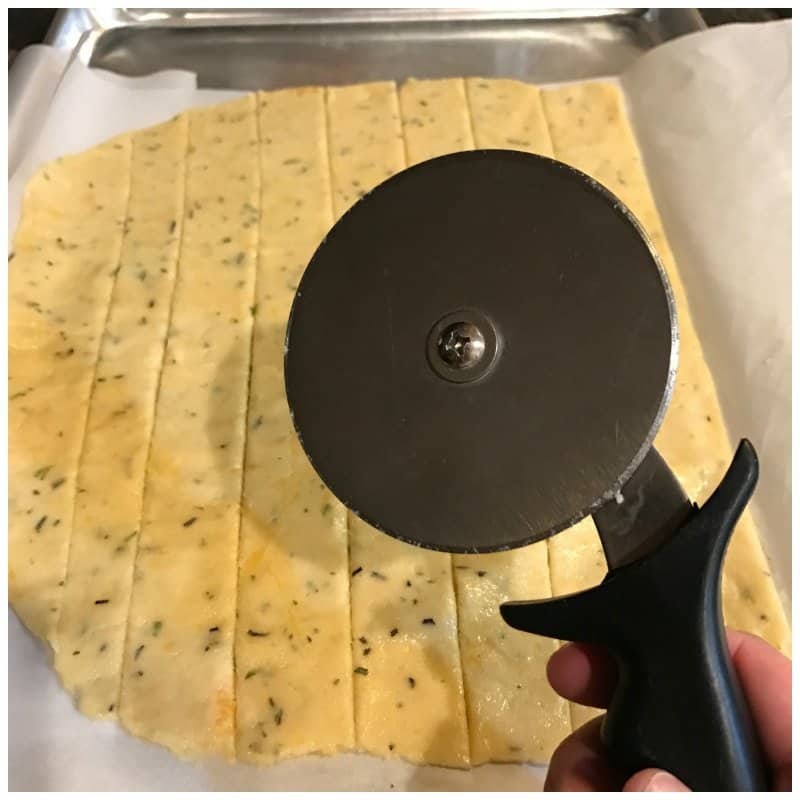 Next use a pizza cutter to cut the crackers into small squares as seen in the photos. 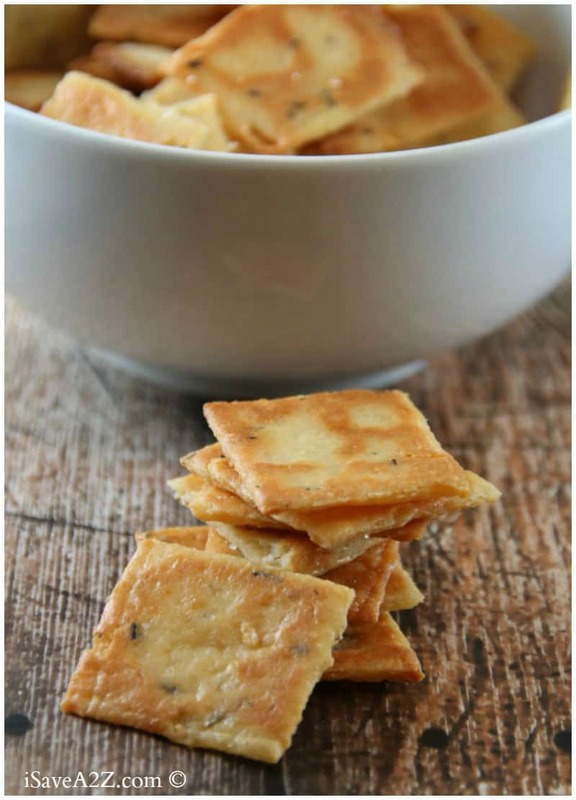 Bake these crackers on each side at 450 degrees for about 5 or 6 minutes on each side. 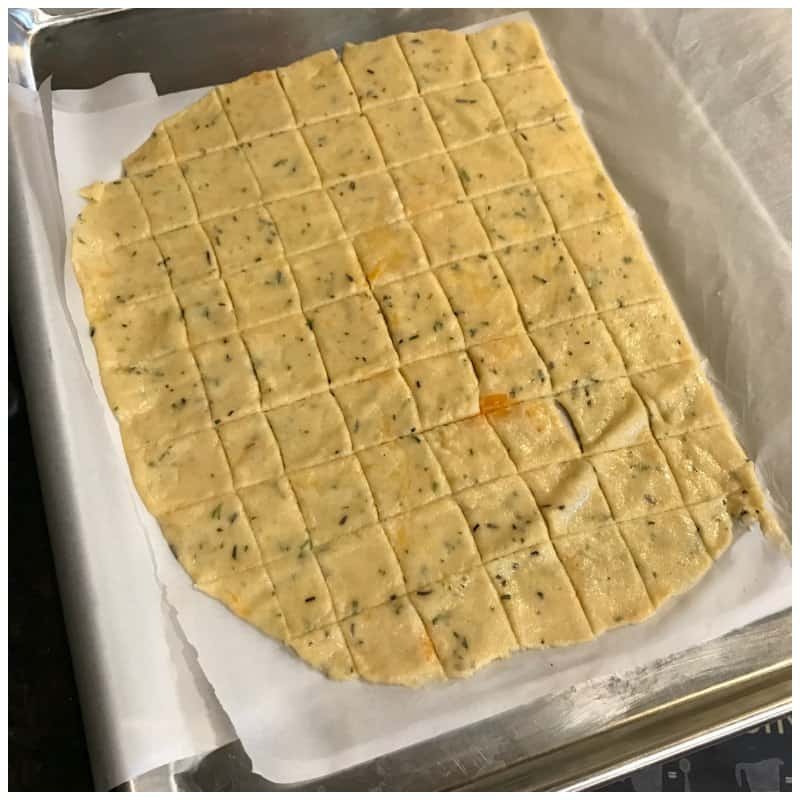 If the crackers are thin, you will cook them about 5 minutes on each side but if the dough is thick, it may take 7 to 9 minutes to get the crispy cracker texture you are looking for. When you keep the dough on the parchment paper it's really easy to flip it over while it's hot after cooking it on the first side. I ended up using the pizza cutter again to define the lines on the flip side too. Feel free to leave the crackers in there a bit longer (but watch them closely) if you love a very crispy texture. I don't think I would go over 10 minutes on each side. I made another batch as snacks for the week. I divided these up into 10 small baggies! This put about 5 to 6 crackers in each baggy! The more I make these the more I roll the dough thinner and thinner. If you roll the dough really think the crackers come out crispier and you will get a bigger quantity! 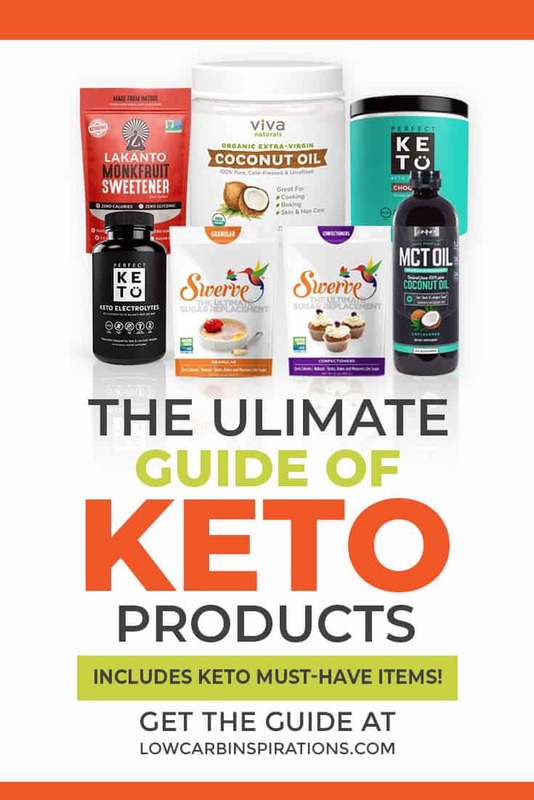 If you are looking for more Keto snack ideas, I highly suggest you look at the Top 10 Keto Snacks article here! It's an excellent list of great ideas. Feel free to pin this recipe on Pinterest for later too! 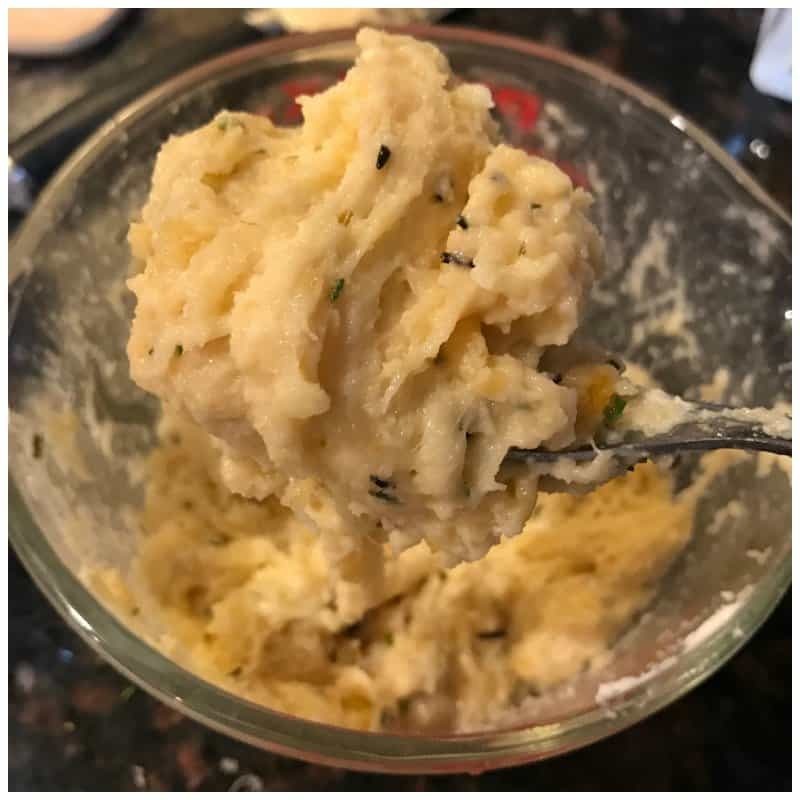 This is a really good low carb snack idea that goes perfectly with your favorite dip! Perfect for parties too! 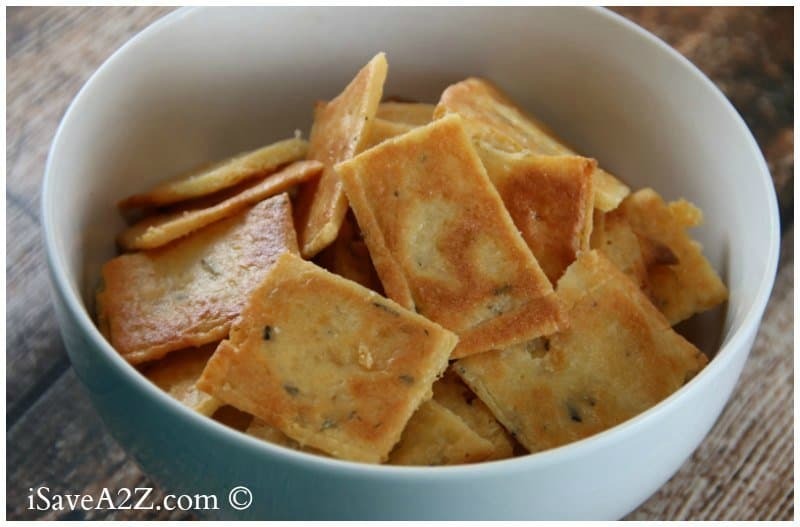 Bake these crackers on each side at 450 degrees for about 5 or 6 minutes on each side. 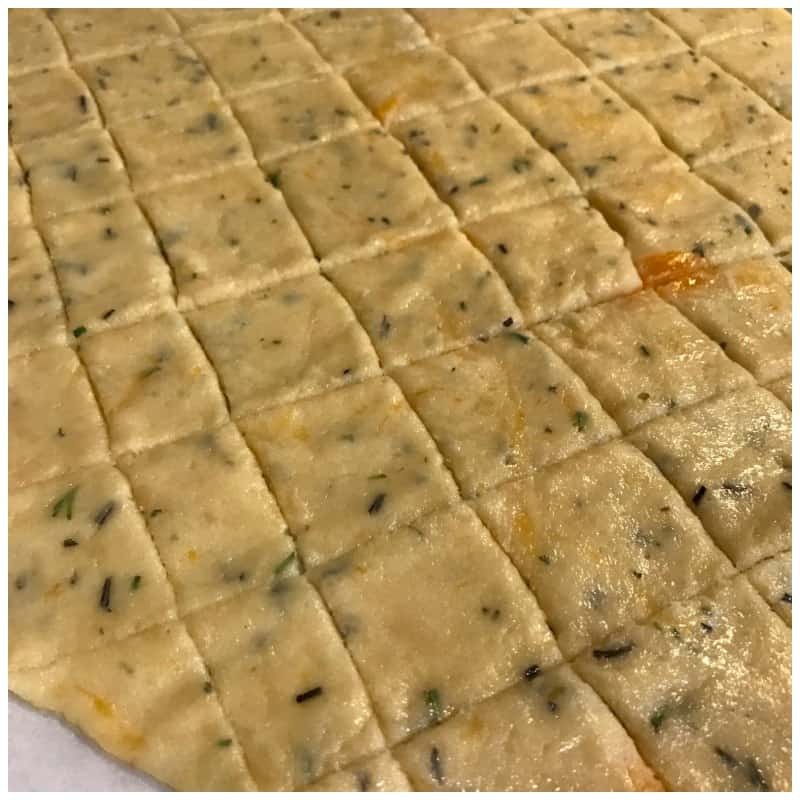 If the crackers are thin, you will cook them about 5 minutes on each side but if the dough is thick, it may take 7 to 9 minutes to get the crispy cracker texture you are looking for. 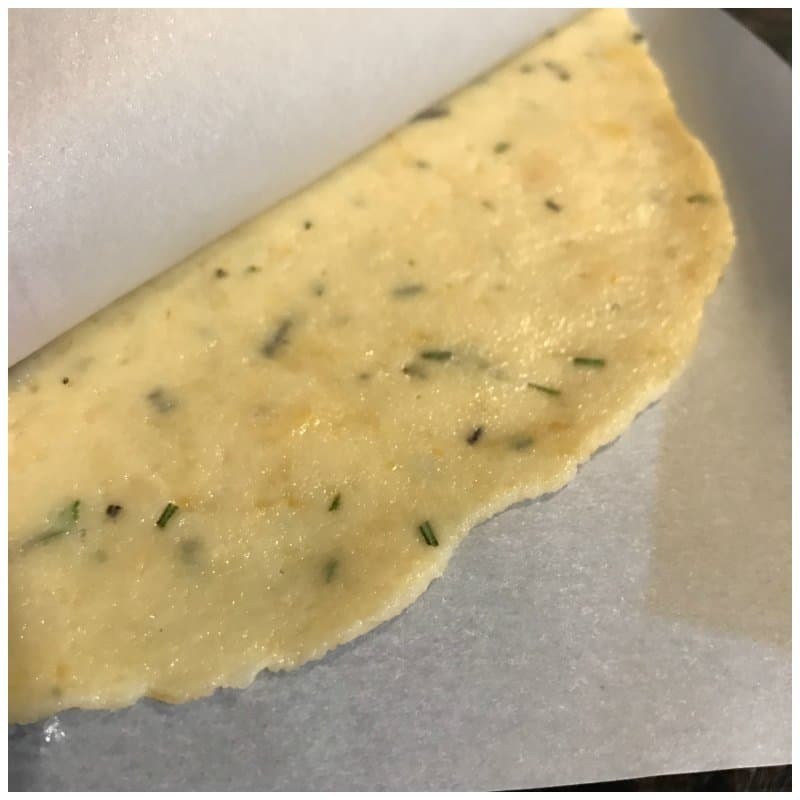 When you keep the dough on the parchment paper it's really easy to flip it over while it's hot after cooking it on the first side. I ended up using the pizza cutter again to define the lines on the flip side too. Feel free to leave the crackers in there a bit longer (but watch them closely) if you love a very crispy texture. 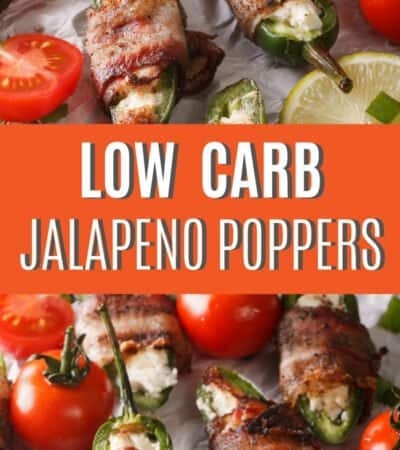 Perfect Low Carb Snack Ideas for any type of party! 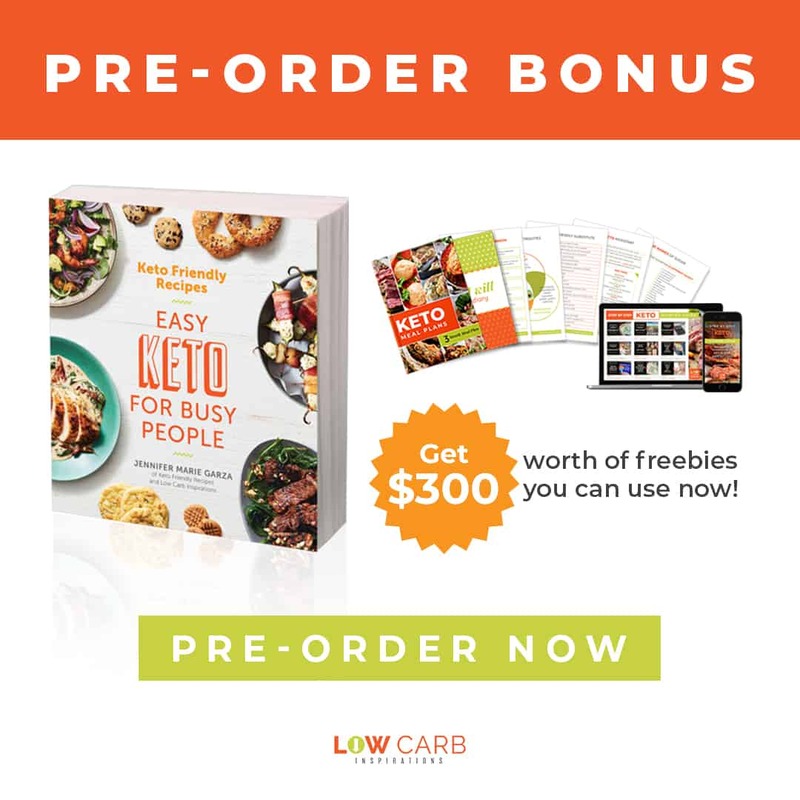 Hi, I am new to Keto and am Type 2 diabetic insulin dependent for about 21 years. I am allergic to all nuts including peanut, coconut, almond, all tree nuts. What flour can I use. I would love to try this recipe. Made these today -super simple and AMAZING!! !